What’s The Difference Between Coconut Milk and Coconut Cream? If you’re talking about that amazing stuff you use to make those deliciously boozy Piña Coladas that we all love… then the answer is no. Absolutely not. You’ll end up with something way too sweet. Coconut milk is a little bit thicker and creamier than cow’s milk. It’s made by pouring equal parts of boiling hot water over the freshly grated meat of a brown coconut. The mixture is pressed to release as much liquid as possible, then cooled and strained. 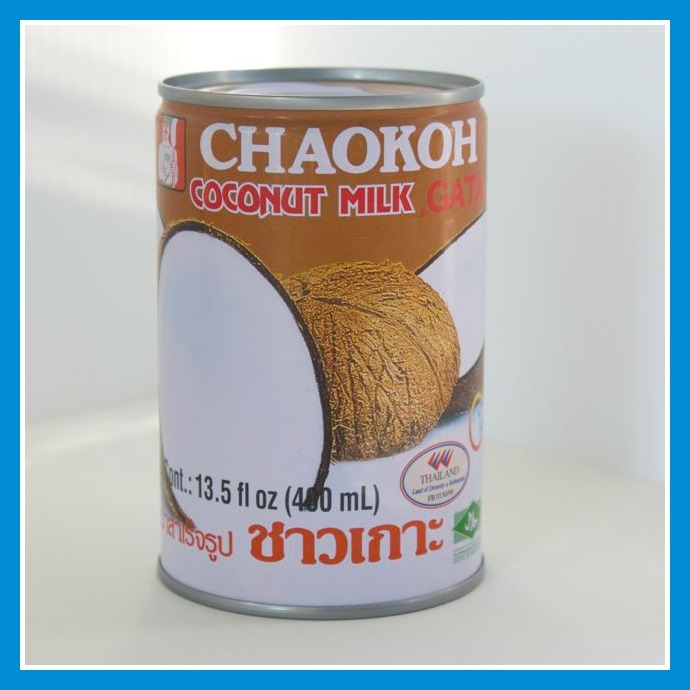 Coconut milk is gently fruity and rich because of the high oil content. Most of the fat is saturated fat. It’s has a very subtle sweetness, although canned varieties may have added sugar and preservatives. Coconut milk is often used in savory dishes in place of tomato sauce and as a broth in sauces and soups. Always shake the can before using. Coconut cream has a paste-like density because it contains less water. 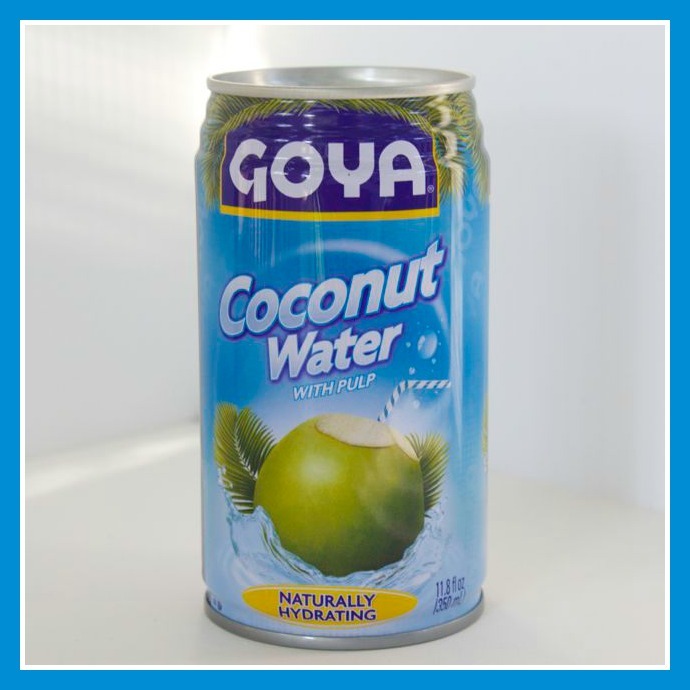 It’s made the same way as coconut milk, but the ratio of grated coconut meat to water is higher, about four parts coconut to one part water. After it is strained, refrigerated and allowed to set, the smooth coconut cream is skimmed off the top of the coconut milk. There is barely any sweetness with coconut cream, but the coconut flavor is marvelous. 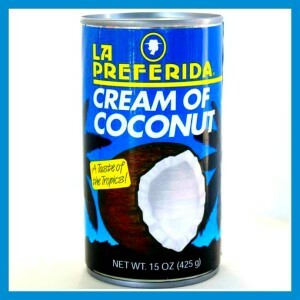 Think of it this way: Coconut cream is to coconut milk what condensed milk is to regular milk… thicker and richer. It’s also sold in wax-like blocks. 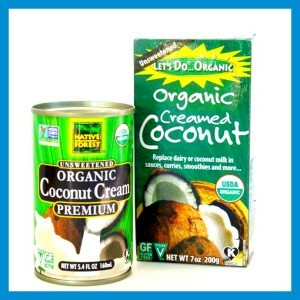 Finally, cream of coconut is coconut milk that contains sweeteners, emulsifiers and thickeners. It’s used in sweet fruity drinks and desserts. I wouldn’t use this when making savory dishes, but you definitely CAN use it to make a fun cocktail to serve with those savory dishes! So you see, there is a big difference between coconut milk and coconut cream (as well as coconut water and cream of coconut!). Thanks for asking, Blanca! Saw this on #GrowingCirclesHop but I couldn’t comment because it was shared privately. I’ve always used coconut milk, not the coconut cream. 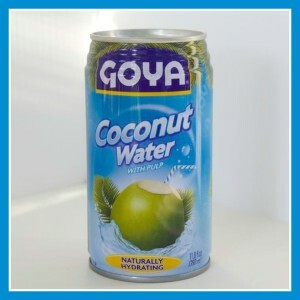 I’ve never seen the coconut cream for sale, actually, so I thought this was interesting. Thanks for sharing! Thanks for letting me know about the sharing privately! I’m just staring on Gooogle+! Thanks for coming by. 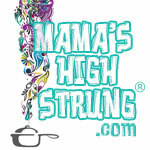 Thanks for stopping by and for your question!!! And there is NOTHING wrong with making many, many Pina Coladas!